The UK is in the midst of an unprecedented peacetime slowdown in productivity growth. 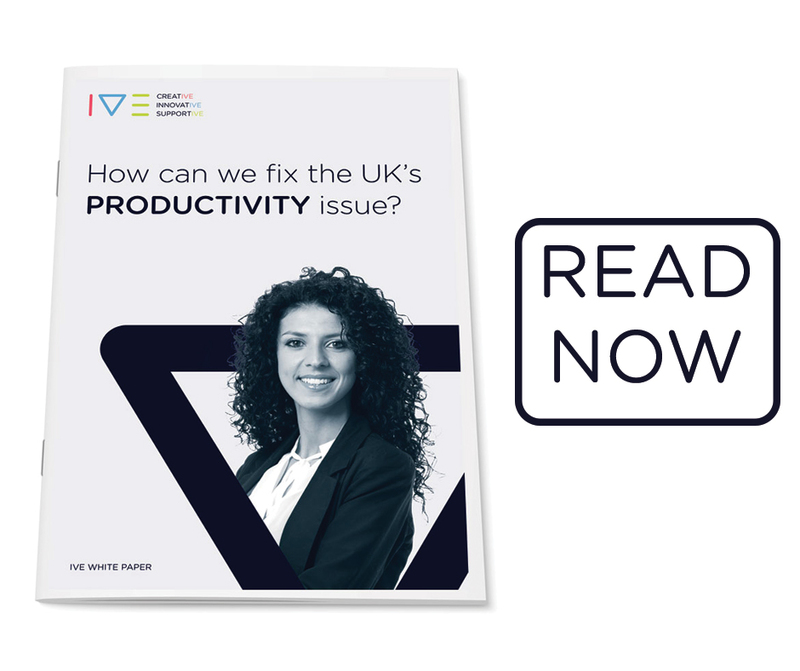 In this White Paper “How Can We Fix The UK’s Productivity Issue” we outline several of the key causes for this low productivity and address potential solutions and how they could be implemented. We also, more importantly, look at actions that can be employed by individual businesses to boost productivity and outshine the competition. Would You Like More Like This? You can change your mind at any time by clicking the unsubscribe link in the footer of any email you receive from us, or by contacting us at hello@weareive.org. We will treat your information with respect. For more information about our privacy practices please visit our website. By clicking below, you agree that we may process your information in accordance with these terms.